Spring in D.C. means allergies galore, tourists angling for a glimpse at the cherry blossoms ... and fervent hopes for another adorable baby panda. Keepers at the Smithsonian National Zoo say giant panda Mei Xiang is showing signs that she's getting ready to enter her fertile period, and the male panda, Tian Tian, is showing interest. Right now, there's no activity that would lead to a little panda, but the zoo said vets will contiue to monitor Mei Xiang's hormone levels. Vets usually artificially inseminate her each year. Mei Xiang has given birth to six cubs at the zoo, including two sets of twins. One cub was stillborn and two died shortly after birth, but three of the cubs have survived to adulthood, including three-year-old Bei Bei, who is still at the D.C. zoo. Mei Xiang's older cubs, Tai Shan and Bao Bao, were sent to China as part of an agreement with the Chinese government. Vets said Friday that a urinary hormone analysis on Mei Xiang confirmed that her estrogen levels are rising. She has been much more active lately and is playing and splashing in the pools in her yard and enclosure, keepers said. 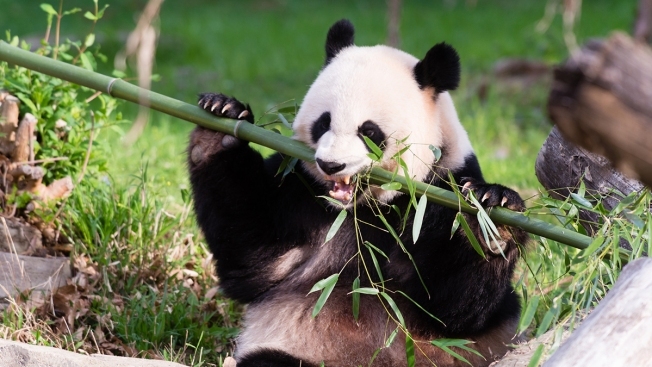 She's also been scent-marking, one of the ways that pandas communicate if they're ready to breed, and is bleating at keepers, which the zoo says she only does during mating season. 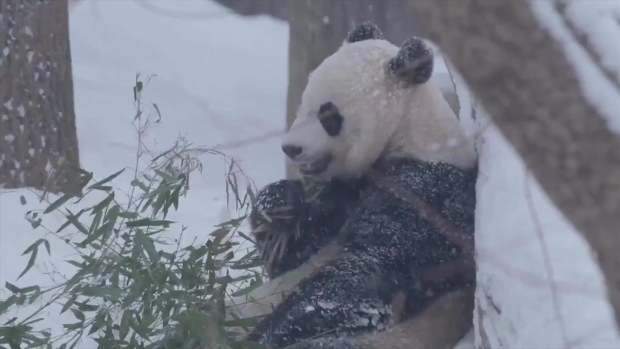 For his part, Tian Tian has started bleating at Mei Xiang and has been spending a lot of time at the window between their yards, the zoo said. The panda mating season isn't long at all. Experts say it usually lasts 24 to 72 hours. 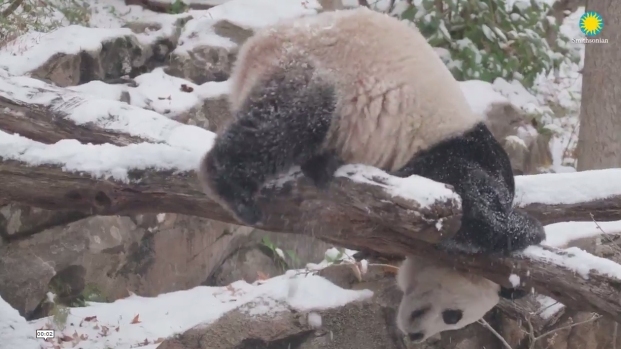 Watch Mei Xiang and Bei Bei as they tumble and roll in the snow at the National Zoo. CORRECTION (April 2, 2019, 7:34 a.m.): An earlier version of this story said Mei Xiang has given birth to only five cubs at the zoo.